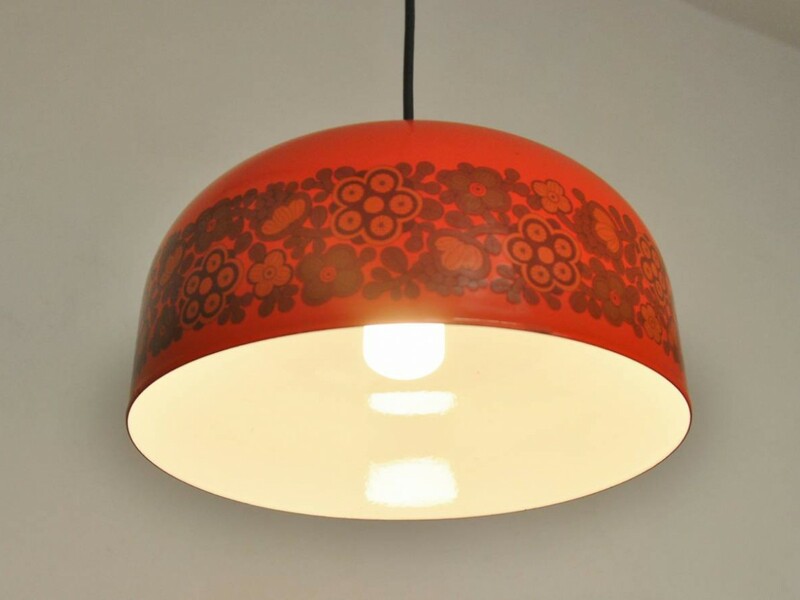 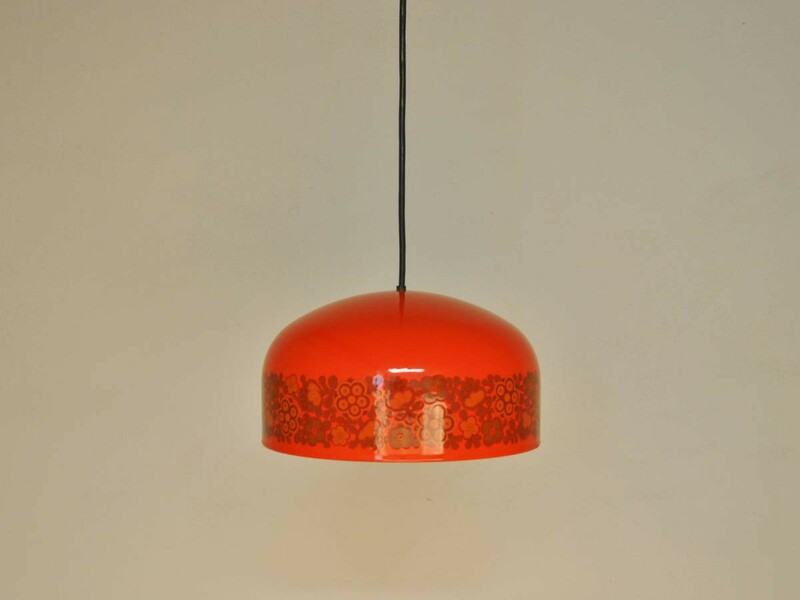 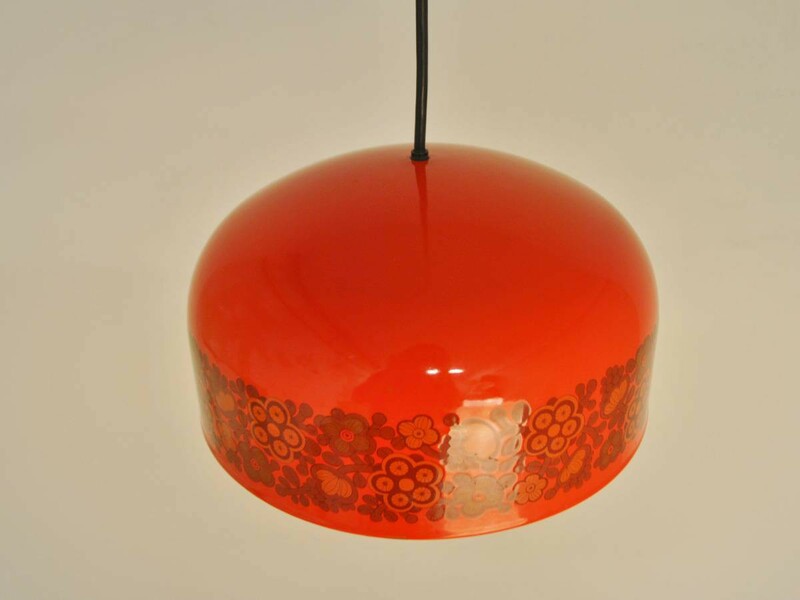 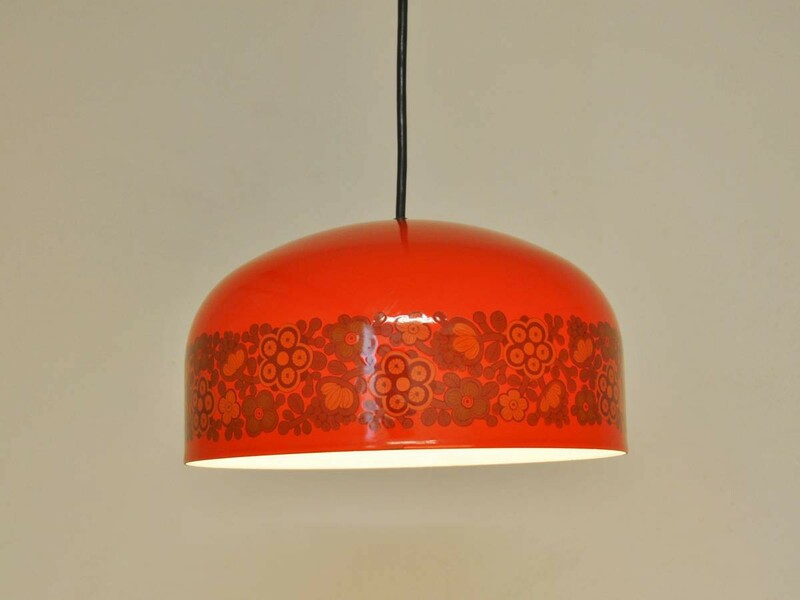 Very nice enameled pendant with a true 1970's drawing. 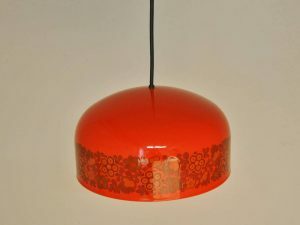 Kaj Franck designed this pendant for Fog & Mørup together with some other models. The design, choice of colors and drawings make these lamp icons for the 1970's. 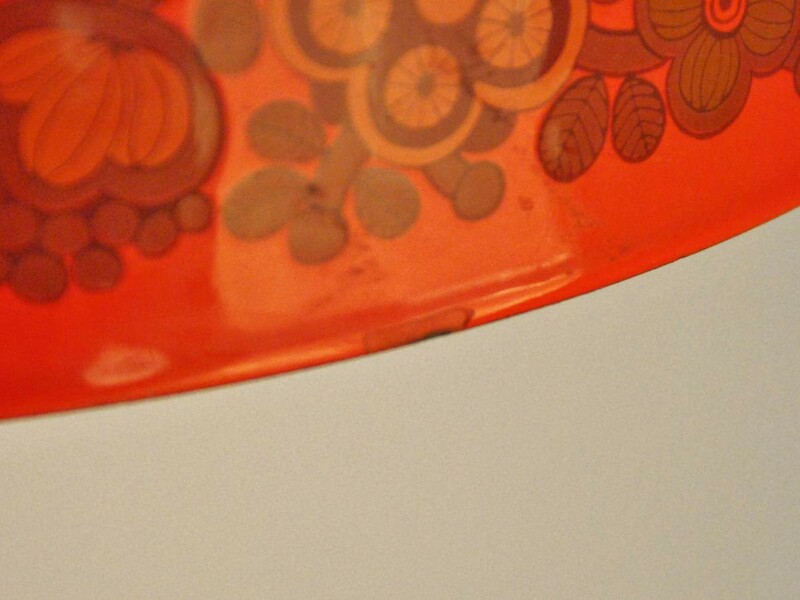 This particular one is in a very good condition with a small chip in the enamel as shown on the pictures.